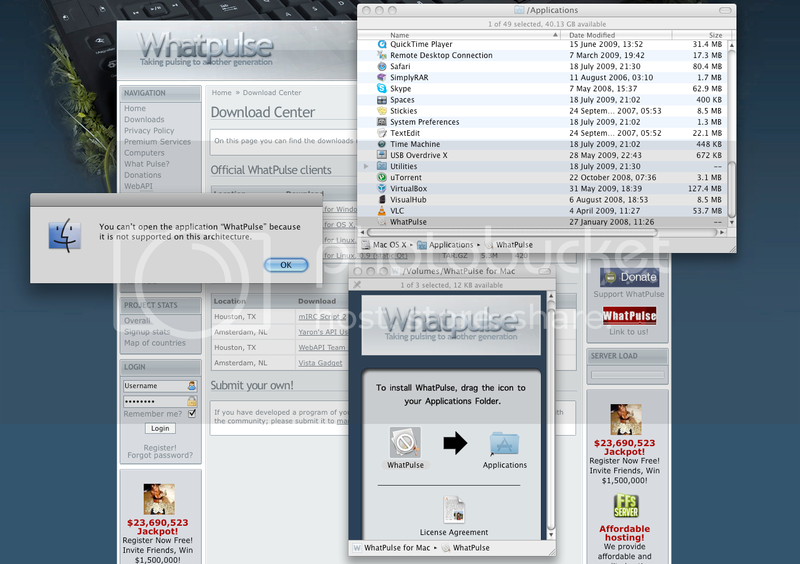 WhatPulse - Anyone Got It On Mac? Cmon B just put up some pis of your Spidy sheet or somin.. Im forgetting what ur room looks like!!!! Hmm... I get the one about it maybe being corrupt. The icon comes up like your one, but without the cross in front. I'm on Tiger though by the way. Edited by propaintballa, 01 August 2009 - 11:12 PM.